Due to our expertise in developing wind farms in extreme cyclonic conditions, Vergnet has been selected by Okinawa Electric Power Corporation to deliver Japan’s fifth wind farm in the Okinawa Islands, an area where energy costs are extremely high. 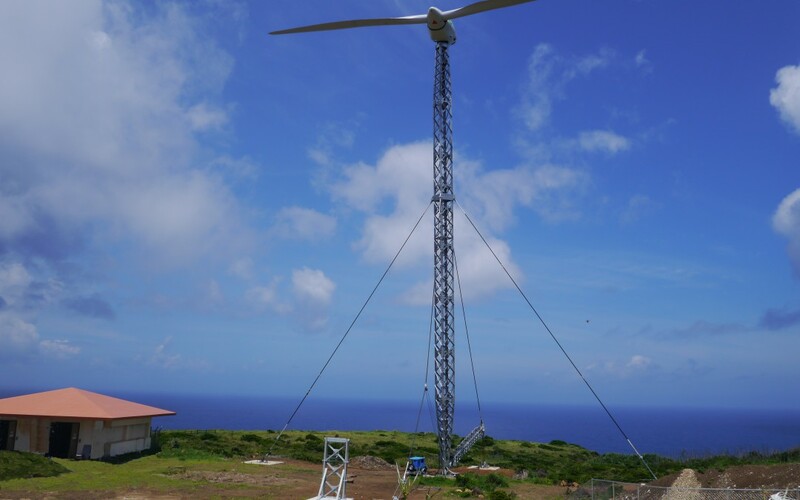 Vergnet has installed seven GEV MP wind turbines on the Japanese islands, including Hateruma, Minamidaito, and also Aguni and Tarama where two were recently commissioned. Several conventional wind turbines on some of these sites had been destroyed by cyclones and therefore Vergnet was contracted to provide and install turbines specifically designed to withstand hurricanes and earthquakes. The wind turbines used in this project are among the very best performing in the medium wind sector, with strong production yields delivering high return on investment. With our advanced technology and expertise in providing tailored solutions for our customers, particularly in cyclonic areas, we are delighted with the continued trust Okiden puts in Vergnet’s ability to deliver substantial power to the local island communities. The GEV MP turbines installed in Japan confirmed once again their suitability and resistance during typhoon Dujuan in October 2015.